FOBP call for the 13 Southampton Way site, already designated as Metropolitan Open Land, to be incorporated into Burgess Park. We oppose any redevelopment that does not comply with the Metropolitan Open Land status. Significant investment in Burgess Park over the last eight years means that numbers of park users have increased rapidly. The plans for the redevelopment of the Aylesbury Estate and the Parkhouse Street sites, alongside four new large housing developments in north Camberwell, will mean that demand for quality green space for local residents will be even greater in the future. This is why the inclusion of this additional land into the park is needed. Burgess Park, immediately beside the Southampton Way site, has been transformed over the last year. The Council’s Burgess Park West scheme has created a larger nature area by taking out New Church Road , incorporated extra land into the park (Babcock’s site) and created a new entrance way where the road once was. 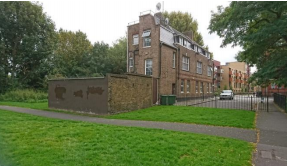 FOBP support the Council’s original intention to complete the Camberwell end of the park and bring the sites next to the entrance (the salvage and car sale sites at 13 Southampton Way) into the park. 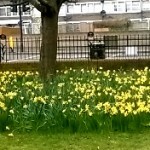 FOBP was set up to protect, promote and enhance Burgess Park, including protection from being sold off or redeveloped. 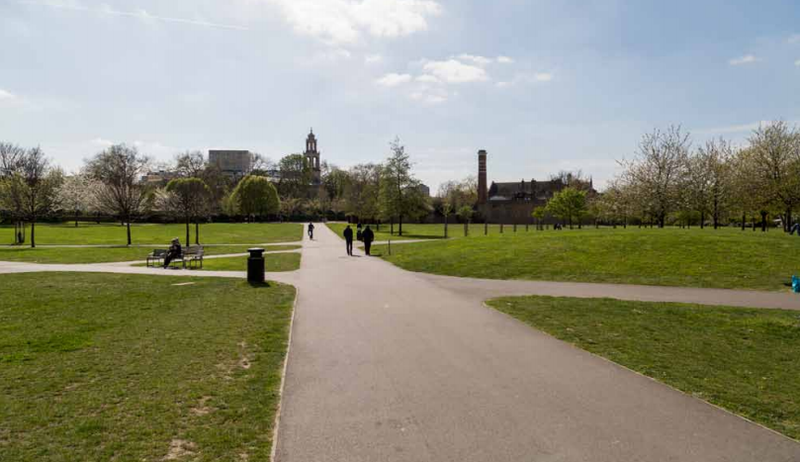 Since the 1990s local residents have campaigned for Burgess Park to be properly funded to complete the park and making sure that land designated for the park has Metropolitan Open Land status. 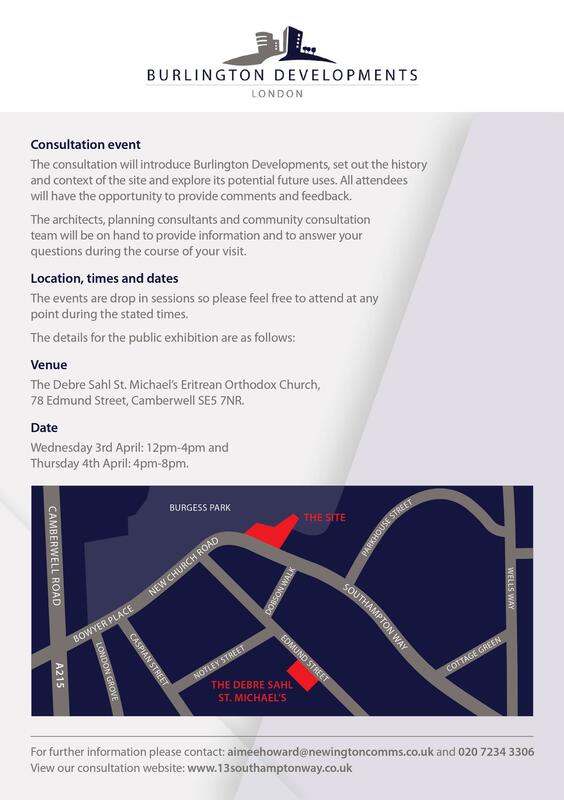 Further details with the exhibition boards and consultation questionnaire – (content from the exhibition provided by local resident). Consultation open to 19 April. Exhibition Thursday 28 February 4.30-8pm and Saturday 2 March 10.30am to 2pm at Cambridge House, Addington Square SE5 0HF. 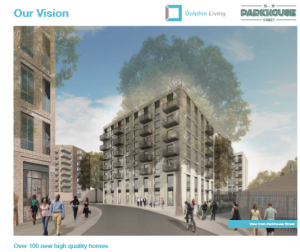 Dolphin Living will retain industrial space and provide rented housing above. 100 new homes for rent mix of affordable, London Living Rent and Discounted Market Rent. 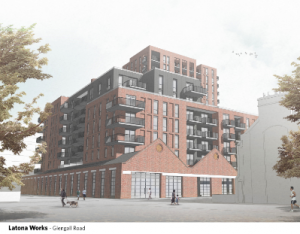 The proposed height of the new buildings for 49-53 Glengall Road will have a significant impact on Burgess Park. It will impact on the view looking east along the Grand Surrey Canal. This will impact on park users in both sections of the park on each side of Trafalgar Avenue. This will be compounded by other developments in the pipeline. 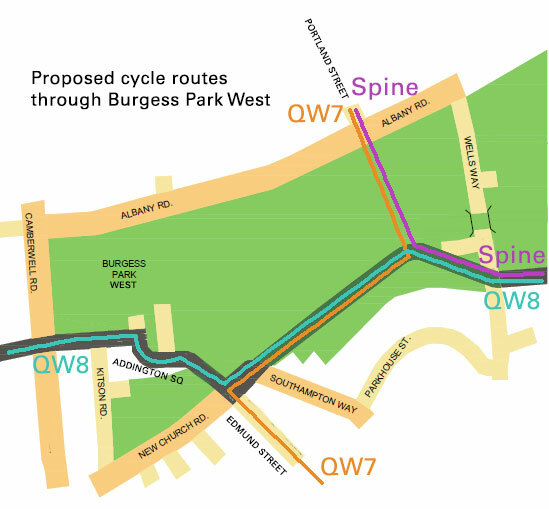 The green link from Bianca Road and across Glengall Road into Burgess Park should be developed further to maximise pedestrian and cycling routes and links to the Quietway routes. 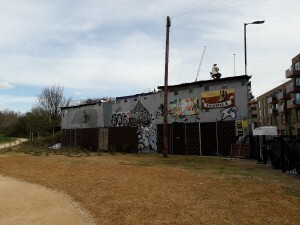 With a site so close to Burgess Park there would be opportunities for the development to include green infrastructure and landscaping and building design to facilitate nature – bat and swift boxes for example. Read the full response. Planning approval granted. Council plans for the redevelopment of the sports centre and sports pitches are out for consultation. The proposal is to increase the space for the sports pitches and the sports centre. Come along to the next FOBP meeting Tuesday 4 December 7pm at the Sports Centre, see the display boards, hear more and discuss the ideas. Complete the council’s online survey. Closing date Friday 14 December 2018. 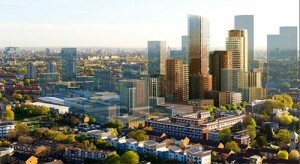 Find out more about the development schemes in Old Kent Road. November 2018 – Southwark Council Planning Committee have refused the planning application. Peachtree (the developers) have amended their proposals following community objections and discussions with Southwark Council Planning. The revised planning application is open for comments. The key documents showing the changes and draft FOBP response here. To put in your comments go to the planning application 17/AP/4797 by 6 October. UPDATE: Deadline for comments extended to 21 October. Reduction in the height of the buildings along Parkhouse Street and of the tallest building in the centre of the site, from 14 to 12 storeys. The proportion of affordable workspace has been increased to 10% of the total commercial space. We have also reduced the height of the proposals adjacent to Burgess Park and introduced a new mews to enlarge the distance between the scheme and the rear of existing buildings on Parkhouse Street. The number of family-sized homes across the scheme is now increased to 60%, of which 65% will be affordable. The plans will continue to deliver a new creative community for Camberwell, an environment that will attract emerging businesses and encourage them to thrive. They will also provide new homes and vibrant public spaces in which local people can live, work and enjoy. 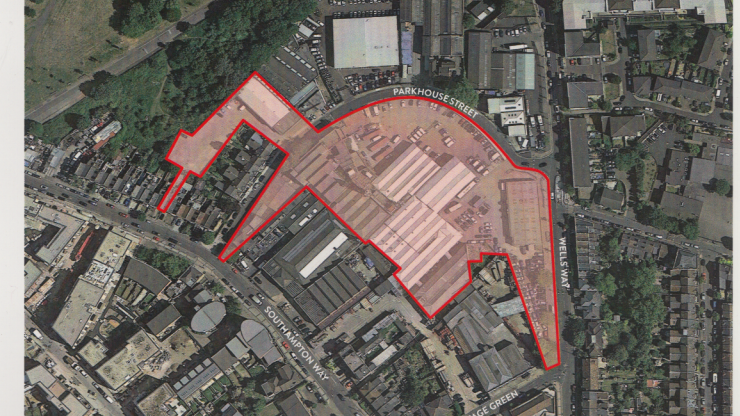  c. 4,500 sqm of commercial space, creating c. 235 jobs and bringing in new creative uses, offices, retail and leisure space.  10% of the workspace will be affordable, suitable for new and emerging local businesses.  499 new homes, ranging from studio apartments to three bedroom units.  35% affordable housing, of which 70% will be offered at social rent and 30% will be for shared ownership in line with Southwark planning policy.  New, vibrant public spaces will improve the permeability of the site and create a variety of open air uses.  Distinct working ‘yards’ will accommodate servicing requirements for the commercial occupiers.  A fully sustainable design will includes rainwater attenuation measures, flood tanks, energy efficient buildings, green roofs and water meters.  The development will be car-free to prevent parking pressure on nearby streets and keep noise and pollution to a minimum.  c. 900 cycle parking spaces are provided to encourage sustainable transport. More details about the original proposal and FOBP comments below. ARGOS and DFS site opposite Burgess Park OKR entrance (the Southernwood site). Proposals include a hotel, cinema commercial, tall private block and rented housing. Exhibition of the updated proposals at the Astley Cooper Tenants’ Association (ASCO TA), Wessex House, 375 Old Kent Road, SE1 5JQ on Wednesday 5th September from 4-8pm and Saturday 8th September from 10am-2pm. The latest proposals for new buildings is on the Hunnex site. The proposal is for seven storeys on the street side of the site and rising to 10 storeys alongside the park. The commercial space will be retained with 100 rented flats above, 50% will be affordable split between London living and social rents. Public Exhibition display boards give more details of the proposals. The large plane tree on Parkhouse Street has a tree preservation order and will be retained. A planning application for a five story block of flats on part of Burgess Park has been refused by Southwark Council. This is good news and thanks to many local people who objected. The proposed building would be much larger than the existing pub, unsuitable for the position within the park and not in keeping with the planning policy for Metropolitan Open Land. Friends of Burgess Park response to the planning application. Planning application made for the Burgess Business Park under the new name “Camberwell Union”. Details on Southwark Council planning pages here, then click on the link for the list of documents. Closing date Friday 9 March. Our issues paper below has more details on documents. Camberwell Union new housing and workspaces on a large site beside Burgess Park off Parkhouse Street. New designs for the business park have been produced Dec 2017 responding to feedback from the first designs summer 2017. Camberwell Union exhibition boards. The developers will be putting forward a planning application shortly and are interested in hearing views now. Following FOBP comments, along with others, the designs along the park boundary have been revised to have less impact on the new Church Road nature area. However the new proposed path into the park remain – cutting through the nature area. 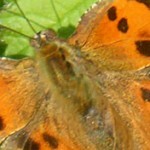 FOBP would like to see this amended to minimise the impact on the wildlife. The new planning policies on green spaces, tall buildings and the local “area vision” will shape future building around Burgess Park and our local neighbourhoods. FOBP want to see green space enhanced and more green space for the growing population and no tall towers shadowing the park. The more people who comment on specific points the more likely that they will be reviewed. FOBP comments on green space are here. Also on tall buildings and the Camberwell area vision and the Burgess Business Park site. Use these to help make your comments. Comments must be based on four tests of soundness. All comments will be reviewed by a planning inspector against the “tests” . More on tests of soundness here. It’s important because the New Southwark Plan sets the framework for development and planning decisions for the next fifteen years. The outline points to make have been developed with Southwark Planning Nework. The list of contents for the Southwark Plan. You can submit your representation by email to – planningpolicy@southwark.gov.uk or use the online form. Southwark Council’s consultation is open to 27 February. 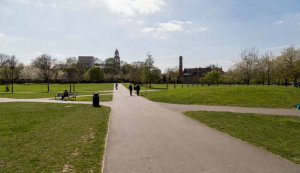 The revitalisation work to the Camberwell end of the park to remove New Church Road and install Quietway cycle path and extend the nature area will start in October. 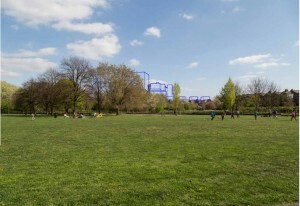 The illustration showing the plans for Burgess Park West. 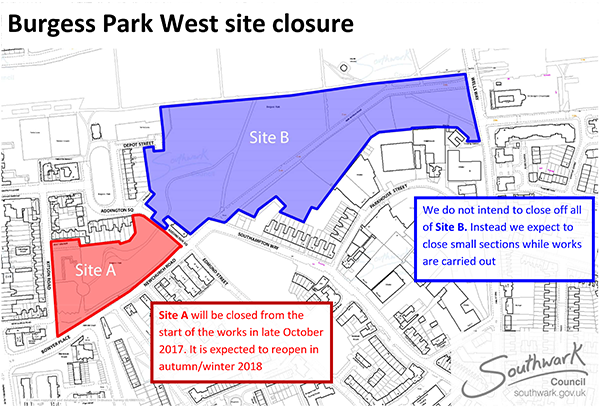 New Church Road closure – Southwark Council will be close the section on New Church Road that runs through the park as part of the Burgess Park west work. The road will no longer be accessible from Monday 4th December. Apologies for any inconvenience caused. The new Quietway 7 pathway will soon be built and will provide an alternative route; we expect it to be open in spring 2018. Southwark Council long term plans for Burgess Park includes revitalisation of the old library bath and washhouse, new urban sports area beside the BMX track and a new tennis centre. Funding is needed to take forward these plans. More details are on the Burgess Park presentation by Michael and Partners, consultants. More details about plans for the sports centre are expected later in 2018. FOBP response to the Area Plans plans July 2017 to the council’s area vision statements said that tall buildings around this park and other green spaces would change the essential character of the park and immediate area. Height for new buildings around Burgess Park The importance of lines of sight, visibility, and dominance cannot be under-estimated for the impact of the park as an open space. At the moment there are no tall buildings which above the tree line on that south side or dominate the sky line either along the immediate park edge or further away. Sunlight and light Burgess Park is a very narrow park and this means that building height has a significant impact. The northern/Albany Road side of the park will have buildings of significant height once the NHHT proposed plans for the Aylesbury estate are built. This large site is up for redevelopment. Part of the site backs onto Burgess Park/rear of the New Church nature area. Southwark Council is negotiating to incorporate land beside New Church Road into Burgess Park. the impact of building too close to the park boundary on biodiversity. As the population increases there will be significant increase in park users. This will take place with the Camberwell Business Park development and the new tube stops on the Old Kent Road as well as other developments such as Aylesbury. It is essential that all of the park remains high quality usable space at all times for health and well-being benefits of local people. Read the full response to the Southwark Plan consultation (April 2017). The plans to develop the Old Kent Road through the opportunity area will impact on Burgess Park, green routes, cycling and cycle/pedestrian routes. Old Kent Road response to the area action plan which sets out the changes the Council want to see. One of the first sites for redevelopment is close to Glengall Wharf Garden/Glengall Road. FOBP have commented on the Berkeley Homes plans for Malt St. The planning application for the Burgess Park West project has been submitted by the Council. The application was approved but further consultation needs to be done on the playgound. The council will also continue to negotiate on incorporating the additional land into the park. Careful and thoughtful design across the whole area would improve the design of the public realm uniting the landscaping of Surrey Canal Walk and the square. 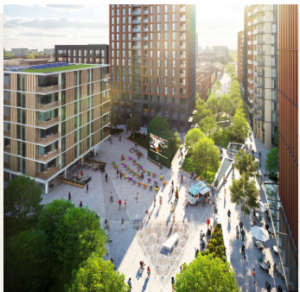 We would like to see a high quality design which brings the green of Surrey Canal Walk into Peckham, provides a space for relaxation to enjoy nature as well as social events and active management of cycling and pedestrian movement. None of the individual planning applications make an overall assessment of the impact of these changes on the square. Whilst this is not a planning requirement it would be helpful to understand and get the best from these significant changes proposed to the buildings in this small area of public open space. The space available will be smaller than currently so less room for pedestrians/cyclist. We want to see reduced numbers of peak time commuter cycling on SCW and Peckham Square through the better promotion and design quality of an alternative route. We are concerned at the proposed site plan for the Mountview Academy which shows encroachment on open space and Metropolitan Open Land (possibly tbc). We are concerned about the impact of the Mountview Academy and the new housing on the Library Square and public realm: sunshine and shade, lighting and tree/greening. Further details on the design intentions for the square and the linkage between the current grass area of SCW and the paved square would be welcome. FOBP response on Camberwell West 6 June 2016. 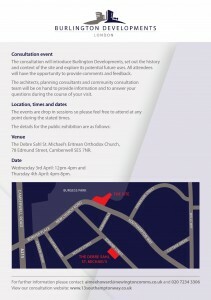 Further details about the previous consultation are below. 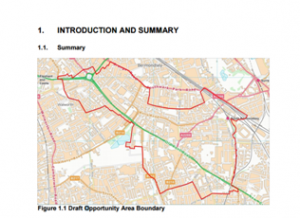 In March 2016 FOBP responded to the first formal planning consultation for the Old Kent Road opportunity area. There will be extensive redevelopment of the OKR and surrounding area. FOBP want to champion green spaces and promote the need for investment in Burgess Park the impact on the park to benefit local people. FOBP response to the draft OKR IIA March 2016. 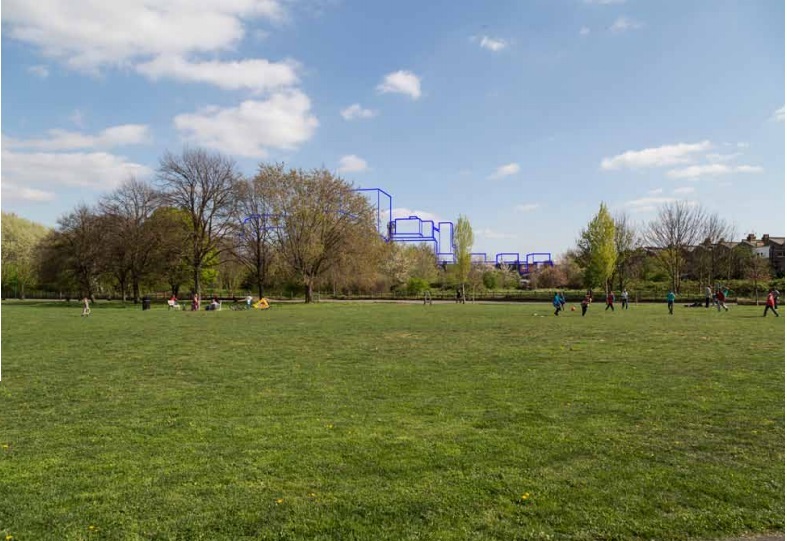 Friends of Burgess Park wish to make a general point in response to the new Southwark Plan consultation about the height of buildings around parks. With specific regard to Burgess Park we do not wish to see tall buildings along the south boundary of the park (St George’s Way/Parkhouse St). The eight story building “Camberwell Fields” on the corner/New Church Road should be the tallest along the western end of the park. Likewise the 10 storey on Trafalgar Avenue is infact six storey and then stepped back through the top four storeys, creating a less dominant impression. We propose that these buildings set the maximum height to appropriately frame Burgess Park. Burgess Park is a very narrow park and this means that building height has a significant impact. The northern/Albany Road side of the park will have buidlings of significant height once the NHHT proposed plans for the Aylesbury estate are built. 4. A pro-active approach to responsible cycling behaviour is needed which recognises that the park provides freedom of movement away from roads – an aspect which is essential to all park users. The Camberwell entrance/ New Church Road proposal designs published 19 May 2015. Consultation will be open upto 14 June with displays in the park; at the Old Library on Wells Way, Sports Centre and Tennis Centre. 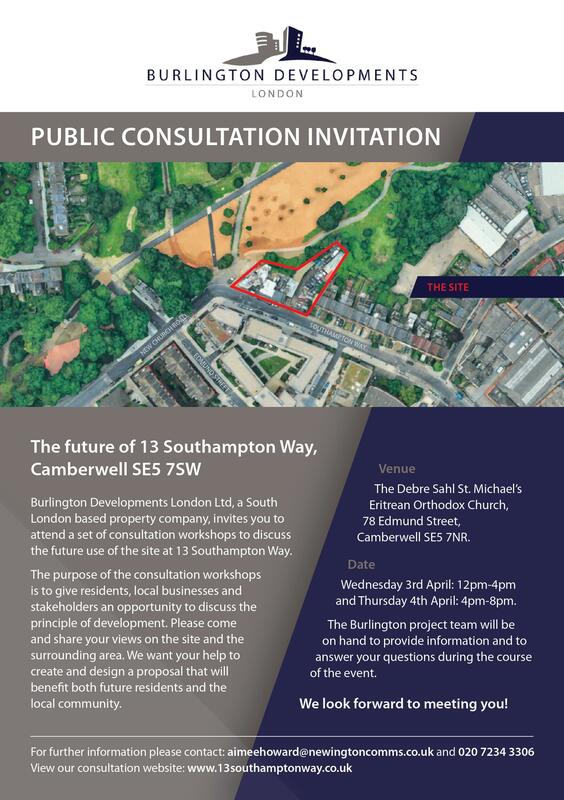 On Monday 18 May there will be a consultation event at Wells Way Pop Up, 6:30pm at Old Library, Wells Way, SE5 0PX. There will also be an additional exhibition at Chumleigh Gardens during half term (23 to 31 May) and at weekends during the consultation period. Respond online or via questionnaires at park exhibitions. Southwark cycle spine route – Southwark Council report on the cycling strategy and the spine cycle route has been published. This shows the spine route crossing Burgess Park “a new greenway will be carefully designed as part of the new master plan”. Local residents led by Addington Square TRA will present the 500 + petition against the route cutting through the centre of the park to the council cabinet meeting on Tuesday 2 June. The FOBP response to the draft cycling strategy (January) and proposed Wells Way for the cycle route (details below). 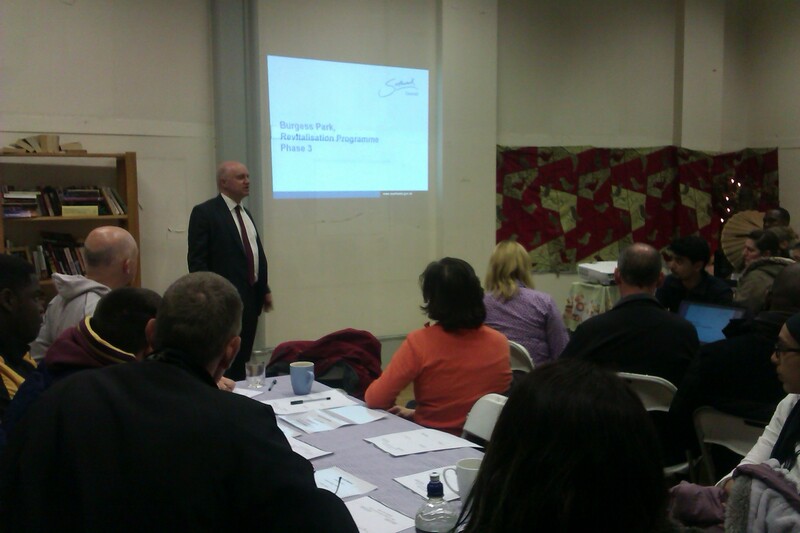 From November 2014 to March 2015 the council have been consulting about the next phase of work to Burgess Park. The revised masterplan will be coming forward during the summer. The council approach has been to set out a broad long term vision for future park enhancements; sports, heritage, ecology etc. FOBP are broadly supportive of the approach to look thematically across the park. More details in the FOBP masterplan response 13 March 2015 . The council are committed to undertaking the Camberwell southern entrance/New Church Road and detailed plans for this are expected by the summer. New toilets also going ahead by the lake. But no decisions have been made yet about other priorities. One of the biggest issues of the consultation has been the cycle spine route through the park. Southwark Council wants to increase and support cycling. The big idea is a cycling corridor down the middle of the borough which is planned to cut across Burgess Park. FOBP is opposed to the route crossing the main park area and want to see Wells Way improved instead. 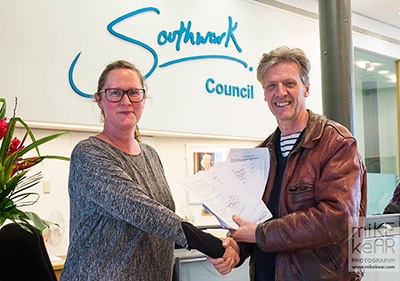 A petition has been started: No Southwark Spine in Burgess Park petition The issue has been picked up in the press. FOBP have responded to the draft Southwark Cycling strategy (below) in January. FOBP have also responded to the new Southwark Strategy which is the planning framework. The council have published the revised masterplan. Exhibitions are being held at Burgess Park Community Sports Centre and Chumleigh Gardens between 11am and 3pm on weekends. Both venues will also be set up on weekdays during half term (16 to 20 February) again from 11am to 3pm every day. There will also be an exhibition at Peckham Library from 3 to 8 March, open between 11am and 3pm. The exhibitions will be displayed until 13 March. Cycling – in the park. FOBP have responded to the Council borough cycling strategy and have also produced a WELLS WAY discussion document as a park road (rather than a road which splits the park). From 2 December the consultation display about Phase 3, the cycling plans plus the southern entrance/Southampton Way designs and toilets at Chumleigh Gardens and the fishing clubhouse are on display in the Sports Centre and will also be put up in the Tennis Centre. Southwark Council is consulting on the new borough cycling strategy. The big idea is a cycle route down the middle of the borough which needs to cross Burgess Park. Consultation taking place on line, at events and through an inter-active map where people can comment on cycle related issues across the borough. The cycle consultation runs to the end of January. Launched 18 November, consultation is taking place over the next month to the end of December. An exhibition will be available for public viewing in Burgess Park Community Sports Centre and outside the cafe at Chumleigh Gardens, from 22nd November until the end of December. Plus exhibitions at Peckham Library and outside the Tennis Centre . A creative ideas-generation event hosted by Just Jones &. 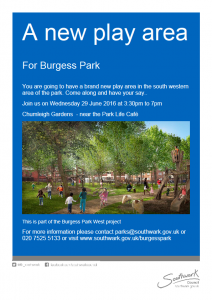 Southwark Council have agreed further £6 million funding for Burgess Park. The funding is for a number of projects which will take place over the next three years including: Southampton Way entrance and taking out New Church Road. 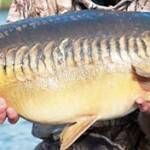 Further consultation will take place as the plans move forward to implimentation later in 2014. 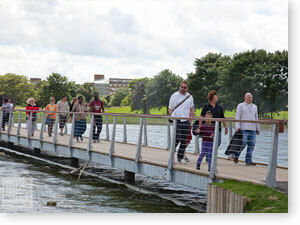 Picture of people walking on the new steel and wood bridge over Burgess Park lake. Are you passionate about Burgess Park? Do you think there are things that can be improved or do you have a brilliant idea that you’d like to suggest? Later this month the Burgess Park director will be chairing a series of forums on sport and play, arts and events, volunteering and biodiversity to give you an opportunity to keep up to date on happenings in the park and also put forward your opinions and suggestions. 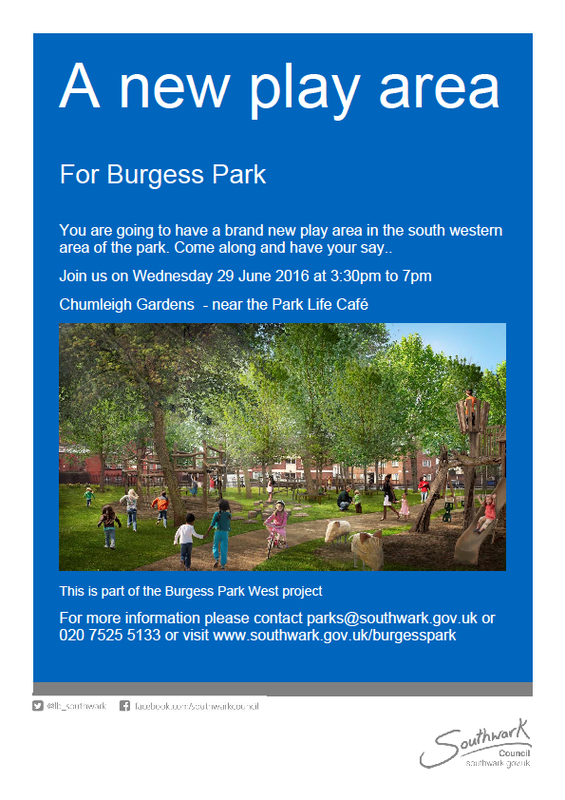 Further information about the Burgess Park forums and dates are on the Southwark website. The fences are now up in readiness to complete the St George’s Gardens scheme. The design, which depicts the gardens of the original Victorian houses on this site will be planted in two stages with the herbaceous planting commencing in June 2013 and the sowing of the prairie meadows from September onwards. The area will be fenced for a minimum of one year in order to protect the plants. Local residents with an interest in gardening will be invited to volunteer and help with some of the herbaceous planting. Additional plants will be planted later in May 2013. 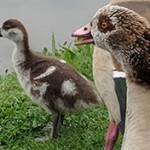 The planting will be protected in order to give them a chance to establish and also to protect them from the wildfowl in the lake. Further planting will also be undertaken in the wetlands adjacent the lake. The London Wildlife Trust (LWT) is currently surveying the areas of biodiversity in the park with the aim of understanding the extent of species growing in these spaces. 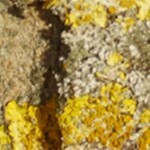 They will then use this information to specify what management techniques should be implemented to enhance species richness. If you want to find out more come along to the Friends of Burgess Park meeting on 4 June 2013, 7pm at Burgess Park Sports Centre, Cobourg Road when LWT will be discussing their findings. New bins are being installed along the Surrey Canal Walk (June 2013). Burgess Park was the first of Southwark’s parks to have a designated barbecue area. These proved immensely popular throughout the summer with friends and families coming for morning breakfast, lunch and relaxation after work, right up until the late evening. However, late last year some of these were badly vandalised. Building works have now started on the new national standard BMX track and are due for completion by the end of July 2013. The site will be floodlit until 9pm and there will be a dedicated park attendant on site during the summer. Additional facilities include CCTV, toilets and a drinking fountain. The World Gardens at Chumleigh were created in 1992 and consist of the Mediterranean, Oriental, Afro-Caribbean, Islamic and English gardens. John Wade, Burgess Park Director and Mark Cox, the head gardener have now started a programme of redesigning the English Garden with a new planting scheme that they feel is in keeping with the past and reflects the botanical heritage of Chumleigh Gardens. The first phase is complete (June 2013) including 4000 plants. Southwark Council is holding a public consultation event at the Adventure play area (on the corner of Wells Way and Albany Road) on Tuesday, 15 January 2013, from 2pm to 7pm. The project design consultants will be showing plans, sections and images of the additional facilities which will aid integration into the wider park. Southwark is inviting comments about how the new BMX site should be used. The scheme includes the following key elements: national-sized BMX track, open access with a few closed dedicated sessions, Integration into the park, planting 98 new trees in the park and floodlighting until 9pm. More information about the BMX track is available on the Southwark website. Detailed design images for the BMX track proposed for Burgess Park can also be found on the Southwark Council website. John Wade, Burgess Park Director, announced that improvements to the drainage in the hard standing areas in Burgess Park East began on Monday 3 Dec 2012. It is expected that the work will take a minimum of seven working days. John Wade spoke at the FOBP AGM in November 2012 about his priorities for Burgess Park for the next 12 months. Initially, he is focusing on problems with drainage as well as reseeding areas of grass. He is hoping to complete St George’s Garden planting early next year with Mark Cox, Quadron Head Gardener, developing the design. Phase 1 – Burgess Park has been officially marked with a commemorative plaque. During an official opening on Friday 12 October, Councillor Barrie Hargrove, cabinet member for the environment at Southwark Council, unveiled the plaque which thanks all those involved in the revitalisation. From Sunday, 2 September 2012 Burgess Park West from Camberwell Road to Wells Way will reopen. 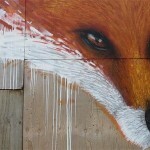 This will be in time to host the Burgess Park Banquet, part of the Elephant and the Nun annual festival. It will then be possible to cross the park from the Camberwell Road entrance to the Old Kent Road via the underpass at Wells Way. There was a community event with local park groups and other local organisations. FOBP had a stall. Thanks to all who helped and to all who dropped by. Barbeques in Burgess Park The park has two new designated locations around the lake where users can light barbeques and enjoy a picnic. More information about the barbeques. Additional works funding by Southwark Council of about £2m will bring the total cost of the Revitalisation up to £8m. Underpass: As part of the enhanced work Southwark will be putting in more varied planting on the underpass slopes before the park opens, this should visually open-up the spaces. Pictures courtesy of Mike Kerr. The new play area and car park next to Chumleigh Gardens opened on 31 March, 2012. Planning application BMX Track Burgess Park 11/AP/3764has been successful. The council hope to open the facility at the beginning of 2013. Construction will probably start in the autumn. The BMX planning application meeting was held at Planning Committee on the 27 March at 160 Tooley Street. See pictures from the complete tour around the site guided by Balfour Beatty and Ruth Miller, project manager, on the 26 November 2011 posted on Fllckr courtesy of Evolution Quarter. Two disused industrial tanks were discovered in the ground. Council chiefs said there was no danger to the public from the tanks and that any contaminated waste will be removed as quickly as possible. 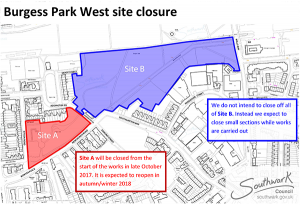 It is expected that the removal of the material will mean a delay to the park’s opening but the council said it was confident that the new site would be ready by summer next year. Read more on the Council website published on 16 November 2011.